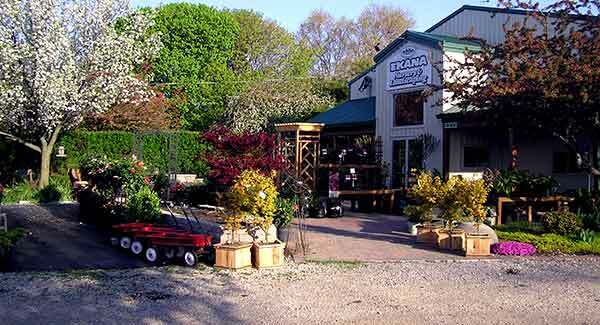 Warranty – Ekana Nursery & Landscaping, Inc.
All landscaping requires property owner’s commitment toward proper care and maintenance for optimal plant success. Ultimate survivability depends on attention to your new plantings. However, since things do happen, we offer the following warranty policy on our plant material. Our warranty policy covers all hardy trees, shrubs, and evergreens for a period of two years from invoice date. Delivery and labor charges are not covered under this warranty. All planted and/or delivered replacements will be charged the current labor and equipment rates. If any material covered under our warranty fails to survive, a replacement will be made equal to the amount of the original invoice value. Sorry, no refunds. Please keep your receipt and present it to our staff to schedule your replacement. The customer’s paid receipt must be presented in order for the warranty to be valid. The warranty that applies to our roses, flowering perennials, and ornamental grasses is the same as above with the following exception: The warranty on these items is for the current season of purchase ONLY. Annual plants and flowers are not included in this warranty. We do not warranty any material planted above ground (ex: raised beds or pots) or any materials that have obviously been neglected, abused, infested with diseases, insects, or damaged by weather or any other forces beyond our control. Please feel free to contact our staff with any questions on the proper care of your plants. We are always willing to offer assistance. We love making satisfied customers! Love everything here and the people are so nice and helpful!! Top-notch work. My Mom is SO happy with her yard! Thank you! Fantastic work! Thank you to Randy and his crew for being so patient with us. We appreciate their help in the design process, as we are not very knowledgeable with plants. Our front yard looks great - and we cannot wait to start our next project!